It appears that illegal metal detecting has been taking place along the line of Hadrian's Wall in Northumberland (Tony Henderson, "Heritage crime concern on Hadrian's Wall because of illegal digging", Chronicle 10 February 2015). The hunting has taken place in the central section of the wall to the west of the well-preserved fort at Housesteads. This is discussed in the wider context of 'Heritage Crime'. 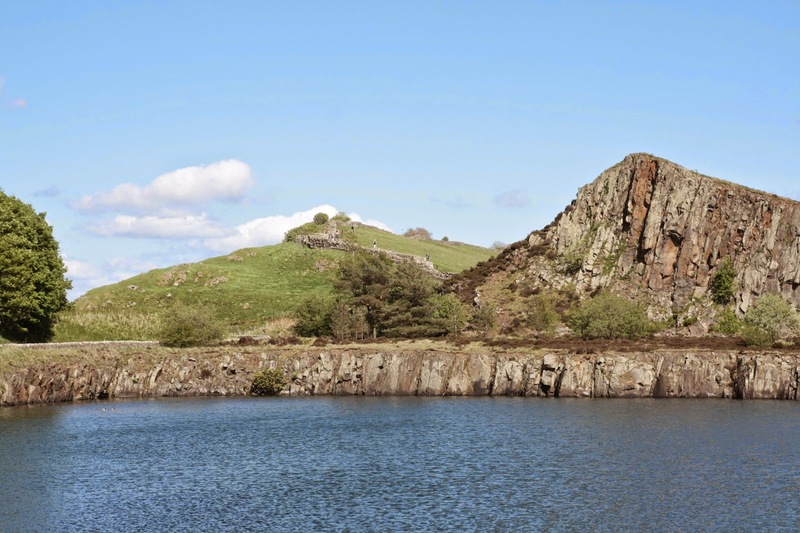 Mark Harrison, English Heritage national crime advisor said: “The practice of nighthawking, particularly from such important sites as Hadrian’s Wall, is an issue that we take very seriously. “We recognise that the majority of the metal detecting community comply with the laws and regulations relating to the discovery and recovery of objects from the land, but just as it is against the law to break into someone’s house and steal their possessions, so it is illegal to damage land and steal valuable historical artefacts. Quarrying along the line of the wall in the 1920s and 1930s brought about a major shift in the attitude towards heritage monuments in their wider setting (see here). This deliberate damage to a world heritage monument should renew the discussion of how the finite archaeological record is being damaged in a quite deliberate way. Elsewhere Harrison has called for 'research, debate and ultimately influence [to drive] the changes necessary to protect and preserve the world's cultural and historic environment'. How will Harrison and English Heritage seek to influence the necessary changes to protect our universal heritage? Some of the issues were raised in the forum piece for the Papers of the Institute of Archaeology.